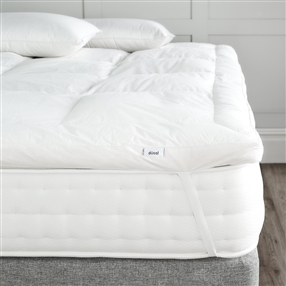 Choose from a range of fills to find the best double mattress topper for your sleep requirements. 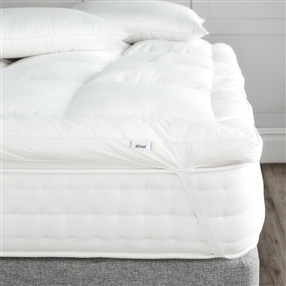 Our 100% cotton Nomite® and Downafresh® certified cases ensure all our mattress toppers are suitable for allergy sufferers. 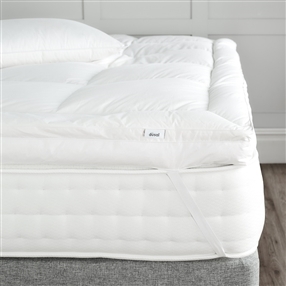 Made in the UK to a high quality 5 star hotel standard we are certain you will feel like you are sleeping on a cloud after fitting one of our toppers.